Aloe Vera helps to soothe skin and also aids natural recovery. Aloe Vera has a long history when it comes to skin renewal. Tea Tree Oil has natural antibacterial properties that help to prevent skin infection. Chamomile Oil helps to soothe skin, aid recovery and is a natural analgesic. Echinacea helps to boost white blood cells, reduce inflammation and also aids the body’s fight against infection. Yes, we pack all these ingredients in one 100ml airless dispenser, which has a RRP of £7.15. 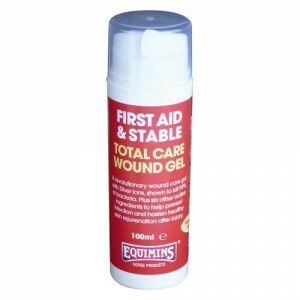 To find out more about Total Care Wound Gel, see the website. 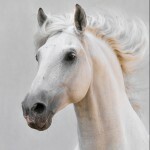 To see the rest of our First Aid & Stable range, see here. Please note that these prices were correct at time of publishing.